Lil Uzi Vert vs. the World Tour — Sobre Sound "
As a new generation of Hip-Hop dawns, we see the emergence of fresh rhymes, trends and fans. 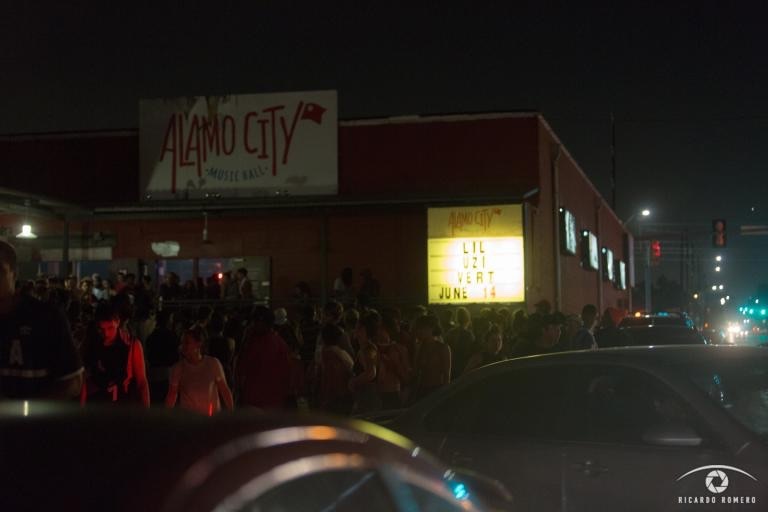 At the Alamo City Music Hall on June 14, ‘Lil Uzi Vert vs The World Tour’ delivered on all three fronts. The tour boasts an energizing lineup for fans, and the show was nothing short of that. The line to get in zigged and zagged across the lot, teeming with 18 - 20 something year olds. 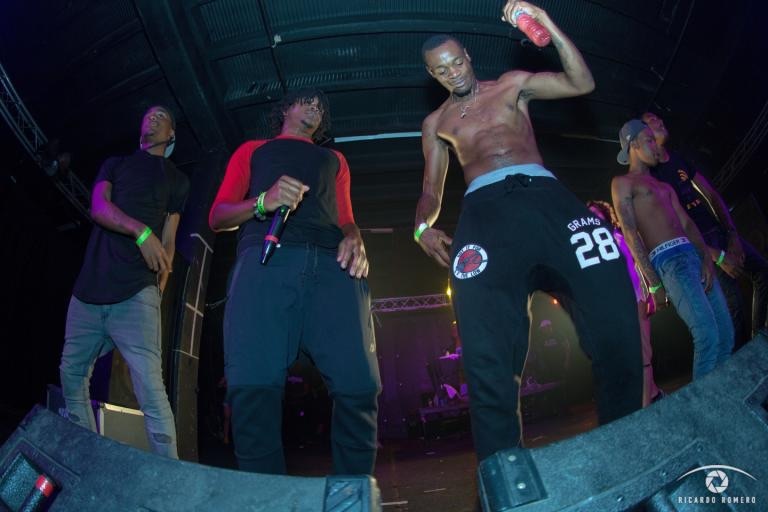 Opening artists Kap G, Kodak Black, YFN Lucci and 21Savage primed the sold out venue for the heat that was to come, both on stage and in the crowd. Alamo City Music Hall is sort of a diamond in the rough, located at E. Houston and Cherry St., just east of the railroad tracks. There isn't much else nearby the old San Antonio Slaughterhouse, except for a few abandoned buildings and Tucker’s Kozy Korner across the street. From the back of the crowd, the stage and size of the Music Hall resembles that of the no longer existent Austin venue, La Zona Rosa. Scoremore's street team was also in full effect, using online questionnaires to ask concert goers which three musical performances they would like to see most in the upcoming season. The team even kept a vigilant eye out for fallen comrades and provided hydration to those in need. Thanks to the redeeming music, the energy remained strong despite the daunting conditions. Recognized most for his character in the movie "Dope," Kap G set the precedent. The restless secured their place in the crowd as Kodak Black followed up with a set that readied the audience for even more heat (NPI.) 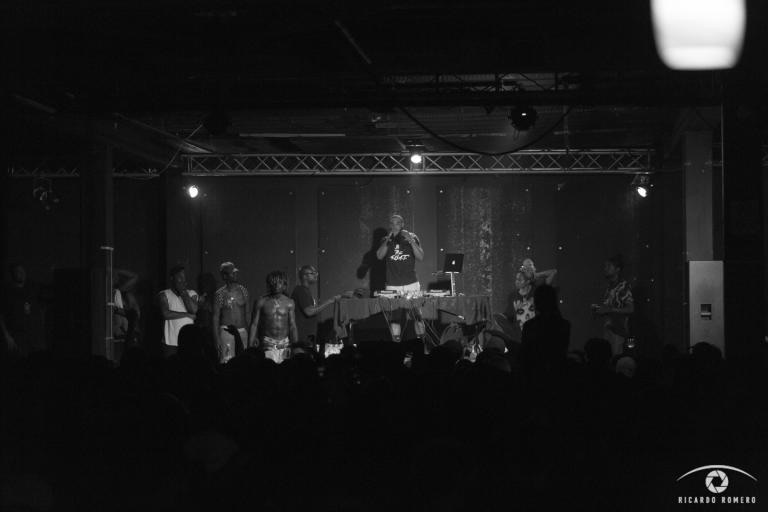 Atlanta artists YFN Lucci and 21Savage find themselves on their first tour, yet they performed like veterans. YFN also happened to be filming for a video that will be bundled with the album. For every member of the tour, including Uzi, it was their first time playing in San Antonio, and all were received with open arms. No one was spared from the heat. The paramedics were on call throughout the night due to the amount of young people fainting . Lack of air conditioning didn't stop the crowd from packing in as each performer made a conscious effort to keep the fans hydrated, tossing endless water bottles to outstretched hands. The venue also kept the water taps flowing in attempt to limit the amount of heat-exhausted concert goers. Lil Uzi Vert has mentioned before that he grew up listening to musicians like GG Allen and Marilyn Manson, whose influences manifest themselves in Uzi's stage presence. While his girlfriend, Britney, stands at the back of the stage sporting a Misfits shirt and her infamous pink hair, Uzi bounces across the stage like a rock star. The crowd doesn't miss a beat when they chime in for nearly every hook, verse and chorus. His energy is harmonious with the crowd as he says repeatedly, "I ain't ready to turn up!" About halfway through his set, after playing hits like ‘Super Saiyan’ ‘Trunks’, ‘7AM’, ‘Money Longer’ and ‘All My Chains’. At one point he asks the crowd "What y'all wanna hear?" A unanimous "P's and Q's!" echoed from the crowd, and DJ Drama dropped the beat. Uzi displayed more of his rock star mentality when he climbed into the VIP, grabbed a bottle of champagne and perched on the narrow ledge, all the while the crowd chanted his anthems back at him. Uzi ended the set with ‘Hi Roller’ around 11:30 p.m. and the sweat soaked mob made haste for the doors. Overall the show had good vibes. People were helping each other. There was a visible cohesiveness between the people on stage and the people in the crowd. It was a party. Considering that most of the crowd was the same age as the performers, how could it be anything but? It was a refreshing look for the future of hip-hop, one of fellowship and diversity. We can only guess as to what that future more might hold, but as long as Lil Uzi Vert is in it, everybody can have a little piece of the fun.